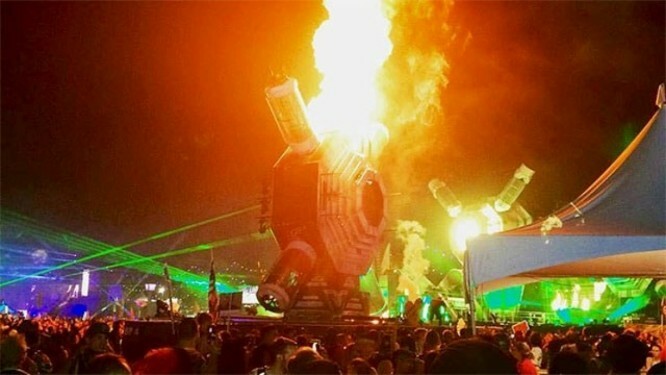 At approximately 2:30 AM, the bassPOD stage caught fire after a propane-fueled pyrotechnic device failed. The EDC team attempted to extinguish the fire themselves, but were unsuccessful. Luckily, firefighters staged at the event were able to evacuate the area and control the fire quickly. Aside from one stage worker suffering minor burns, there were no injuries. The bassPOD stage was up and running within an hour. Footage of the fire can be seen below.